ASUS usually reserves the Republic of Gamers brand for the absolute best hardware in its portfolio, but its policy seems to have become a lot more flexible now. 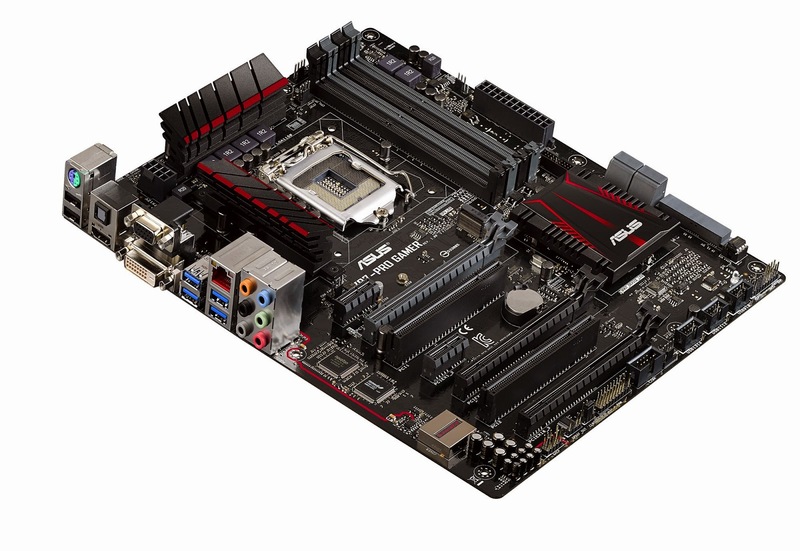 The Z97-Pro motherboard shows that much. You may have noticed the lack of ROG in the product name. That's because ASUS didn't include it, despite launching the newcomer through the ROG website. We can understand why other people are calling the Z97-Pro a semi-ROG product. The platform is no flagship, that's for sure, but it might just steamroll over every other would-be mini gaming PC motherboard on the market. We may as well get the obvious ones out of the way. There are four memory slots, for one thing, meaning that you can install quite a lot of DDR3 RAM. 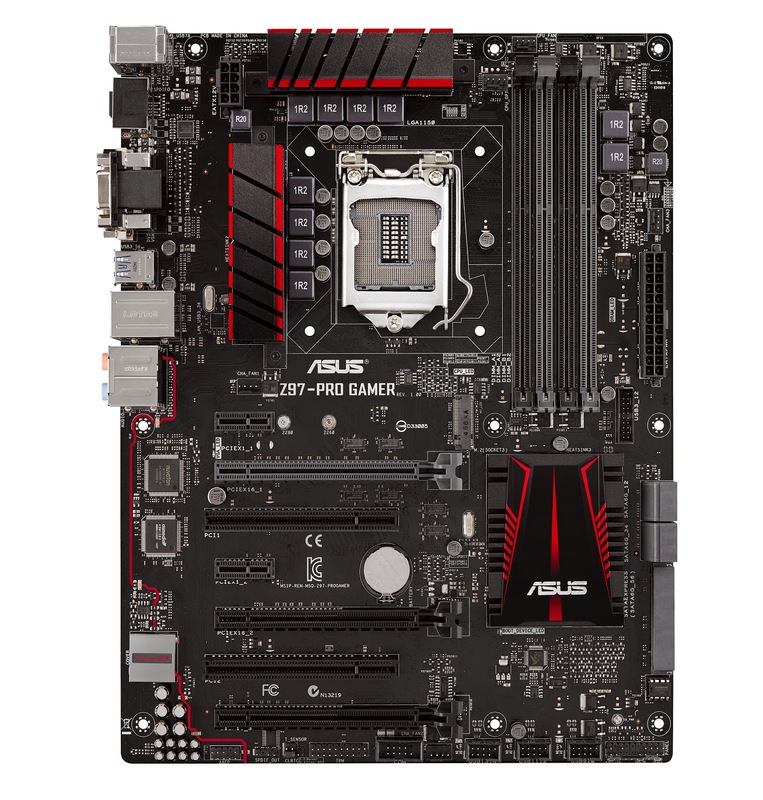 This also seems to be a full-ATX motherboard, so you don't, in fact, get to make a mini gaming PC from this thing. The “budget” systems still need mid-tower cases or larger. As you can see, one of the three full-size PCI Express slots is colored grey instead of black. That doesn't mean you can only install one video card though. In fact, you can choose between an x8/x8 dual-GPU configuration (NVIDIA SLI or AMD Crossfire) and an x8/x4/x4 configuration for tri-AMD gaming. In other words, for three video cards that can sync their resources despite the bandwidth difference. It does put a damper on the purpose of the new motherboard though. ASUS envisioned it as a way to build a strong gaming PC around an Intel Pentium CPU (Pentium G3258 can overclock, for example), and AMD graphics might not scale well. Nevertheless, the option is there just in case. Moving on, the motherboard benefits from an Ethernet port, USB support, SupremeFX audio with an ALC1150 codec (with PCB separation), EM shielding, and headphone amplifiers with auto-detection. Finally, ASUS tossed in PCI Express to PCI connectors, two M.2 ports, SATA Express (12 Gbps instead of just 6 Gbps), ROG oriented DIGI+ control of the power delivery, SupremeFX audio, red/black heatsinks, and a BIOS with all the options needed for overclocking. The ASUS Z97-Pro hasn't been given a tag yet, and we don't know when sales will begin. One thing's for sure, though. ASUS will have to somehow stay below the $100 / €80 price, because a higher price than that will put people off it, no matter how great it is. 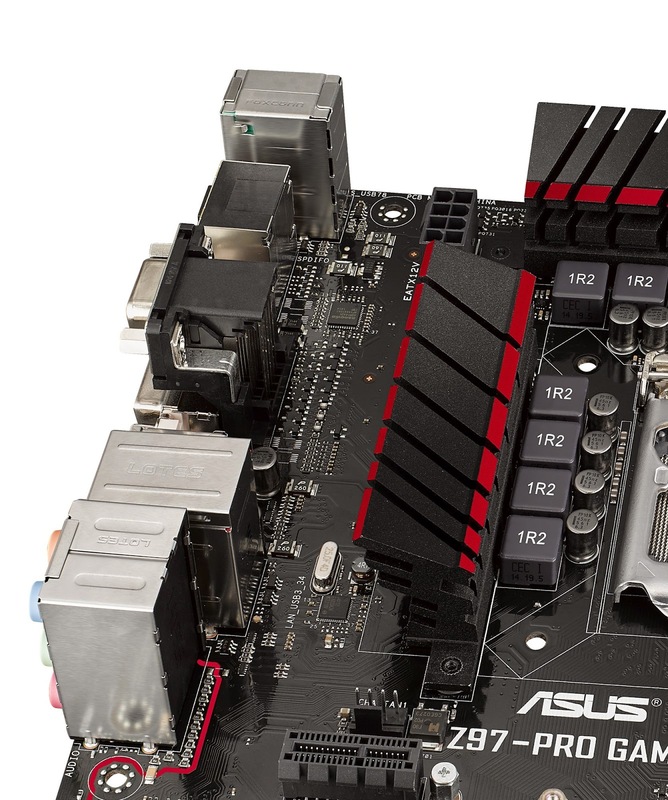 Press Release:ASUS today announced Z97-Pro Gamer, a high-performance ATX motherboard with 10Gibt/s M.2 and SATA Express connectivity, Intel® Gigabit Ethernet, exclusive SupremeFX audio with Sonic Radar II and GameFirst ll and LANGuard networking technologies to deliver pure gaming fun. The Intel Z97 chipset-based Z97-Pro Gamer also benefits from ASUS Gamer’s Guardian, a collection of components hand-chosen for exceptional safety, durability and performance to protect gamers’ backs, and is the latest addition to the popular ASUS Gamer motherboard series. Z97-Pro Gamer is equipped with Intel Gigabit Ethernet and ASUS-exclusive LANGuard for faster, smoother and more reliable gaming sessions. Intel’s networking technology has the advantage of communicating directly with Intel processors to offer exceptionally-high Transmission Control Protocol (TCP) and User Datagram Protocol (UDP) throughput, lowering overall processing demands and improving efficiency — releasing more power for games and gameplay. LANGuard employs advanced signal-coupling technology and premium surface-mounted capacitors to improve throughput, and includes both surge protection and electrostatically-guarded components to defend against lightning strikes and static-electricity discharges. Z97-Pro Gamer also has ASUS-exclusive GameFirst II technology, an innovative traffic-shaping technology that reduces lag significantly by prioritizing game-related data. Tests by ASUS engineers show that latency is greatly reduced — ping times are up to eight times (8X) faster with GameFirst II enabled. GameFirst II’s EZ Mode allows everyone to take advantage of low-latency gaming, with no need for expert knowledge. Players gaming with Z97-Pro Gamer-based systems enjoy SupremeFX technology for near-lossless audio with a remarkable signal-to-noise ratio (SNR) of 115dB that enhances every sound detail. Z97-Pro Gamer also includes Sonic Radar II, an ASUS-exclusive technology that displays a stealthy overlay showing the precise direction and origin of in-game sounds. This enables players to hone their enemy-pinpointing skills, delivering a vital the edge in first-person-shooter (FPS) games. Z97-Pro Gamer has the fastest consumer-storage connectivity, with both SATA Express and M.2. on board. SATA Express provides data-transfer speeds of up to 10Gbit/s from two PCI Express 2.0 (PCIe 2.0) lanes, enabling Z97-Pro Gamer players to speed up their game storage with the next generation of super-fast SSDs. 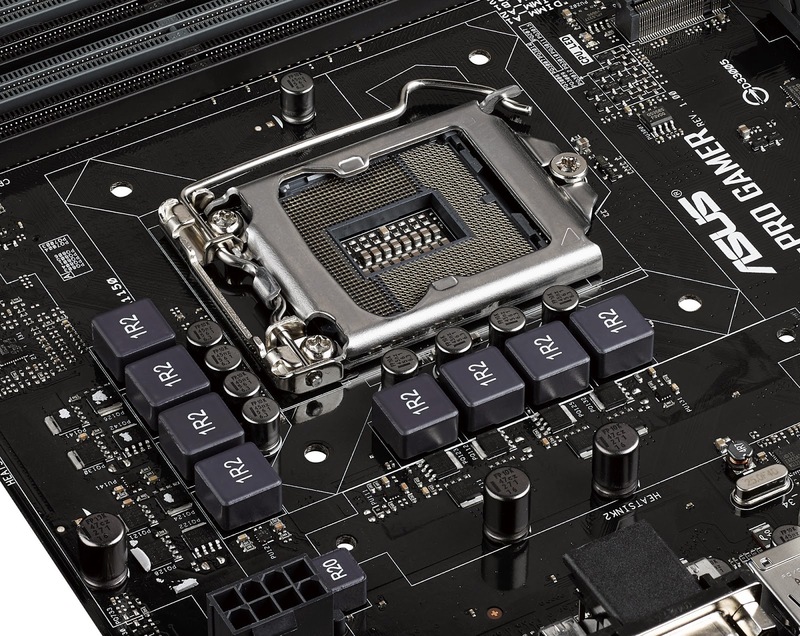 The new motherboard’s built-in M.2 socket also offers two native PCIe 2.0 lanes for data-transfer speeds of up to 10Gbit/s, giving Z97-Pro Gamer owners the freedom to choose their preferred method to speed up both their storage and gameplay. Z97-Pro Gamer is engineered with high-quality, highly-durable Gamer’s Guardian components for exceptional real-world protection for extended gaming sessions. Gamer’s Guardian ESD Guards on the USB ports, audio connectors and Ethernet (LAN) port ensure that Z97-Pro Gamer is actively protected against sudden electrostatic discharge (ESD). 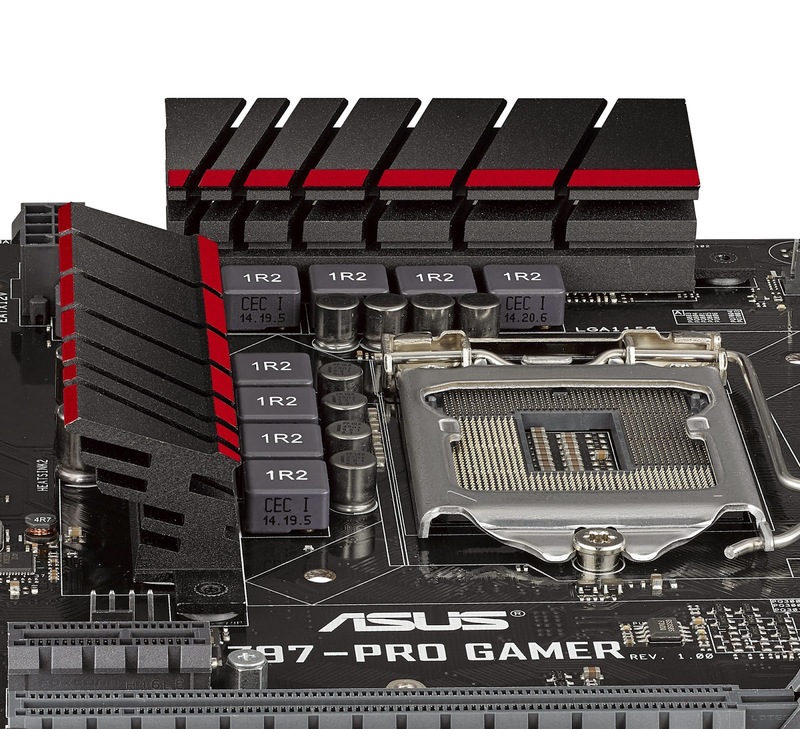 Z97-Pro Gamer also has the ASUS-exclusive Digi+ voltage-regulator module (VRM) to enhance performance, increase efficiency and ensure reliability, and a stainless-steel back input/output (I/O) panel that’s chromium-plated and corrosion-resistant to last up to three times (3X) longer than traditional panels.